Our first workshop Ethnography in Urban Settings: Intersections. Methods. Visions. will take place on August 29th and August 30th, 2017 in Toronto, Canada. 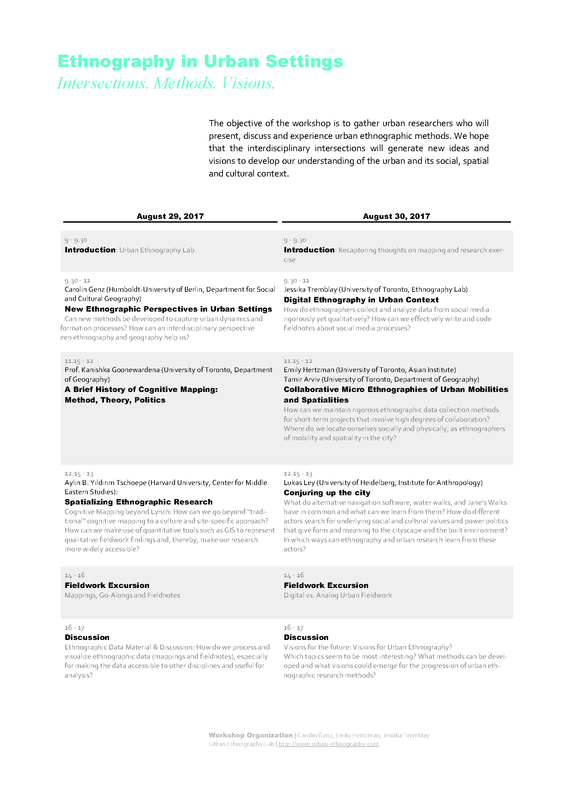 The workshop will straddle the disciplinary boundaries of urban anthropology and human geography, with the intended purpose to promote rigorous experimentation with innovative ethnographic research techniques in urban settings at the intersection of social sciences, art, and design. 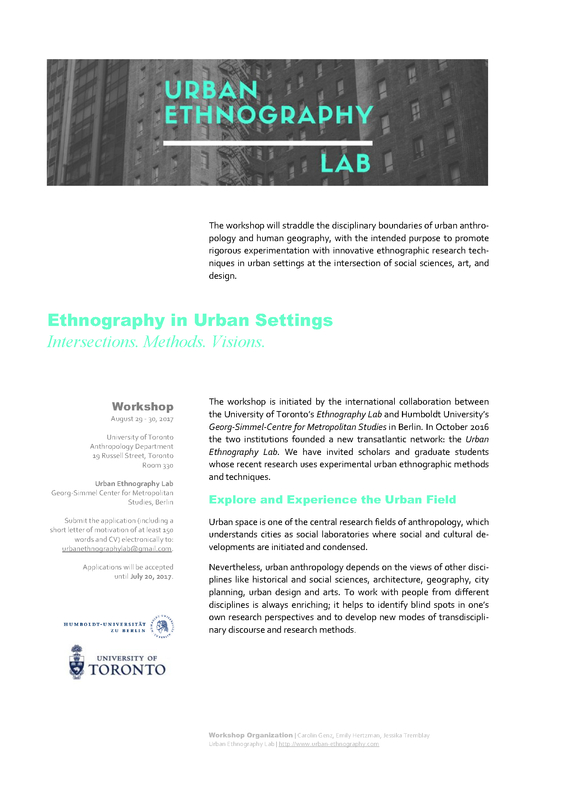 Submit the application (including a short letter of motivation of at least 150 words and CV) electronically to: urbanethnographylab@gmail.com. Applications will be accepted until July 20, 2017.